A new crime drama is coming to Hulu. Recently, it was announced the international TV show Harrow is coming to Hulu tomorrow, September 7th. The complete first season of Harrow will be available to stream on Hulu beginning tomorrow, September 7th. 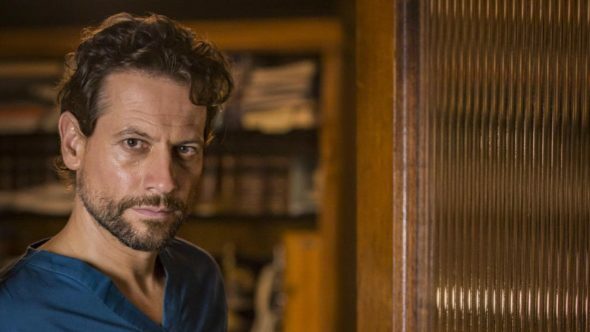 ABC Studios International drama “Harrow,” starring Ioan Gruffudd, premieres in the United States, Friday, Sept. 7, only on Hulu. “Harrow” is the story of forensic pathologist Dr. Daniel Harrow, played by Gruffudd. Harrow’s total disregard for authority and his unfailing empathy for the dead help him solve even the most bizarre cases. He is driven to give victims a voice and will bend every rule to get to the truth of what happened to them. But when a terrible secret from his own past threatens his family, career and himself, Harrow needs all his wit, wile and forensic genius not to solve a crime, but to keep it buried. Hulu will be the exclusive U.S. home to the complete first season, as well as future episodes of the series. Produced on location in Queensland, Australia, “Harrow” debuted in Australia in March 2018 and received Australia’s Logie Award nomination for Outstanding Drama series. The second season of “Harrow” will return on ABC1 in Australia in 2019 and goes into production next month in Brisbane. The series debuted in the UK in July to great acclaim on UKTV’s Alibi Channel. “Harrow” ranks as Alibi’s No. 1 series this season to date and the No. 4 top series ever. “Harrow” is produced in partnership with Hoodlum Entertainment, the Australian Broadcasting Corporation (ABC) and Screen Queensland. The series is created by Stephen M. Irwin & Leigh McGrath, written by Stephen M. Irwin, and its executive producers are Tracey Robertson and Nathan Mayfield. What do you think? Are you a fan of medical crime dramas? Will you watch Harrow? More about: Harrow, Harrow: canceled or renewed?, Hulu TV shows: canceled or renewed? Loved Harrow. Looking forward to season 2. Binge it, loved it, love Harrow. Compelling story line, some what of a mystery, weekly murders very different and most definitely interesting. Girlfriend was a trip.